Outsourcing has become a common practice in the corporate world, and you can ascribe its popularity to the numerous benefits, especially when it comes to business expenditure and revenue. But, there are certain preconceived notions or myths about the words “Outsourcing” and “Freelancing.” Many assume that they are limited to a few specific tasks only, and they can be easily carried out remotely without the need for any physical collaboration or medium between the client and the freelancers online. While you can execute some of the above-listed tasks efficiently with minimum correspondence between the client and freelancer, there are other tasks which are complex by nature and require a lot more exchange for efficient execution. Many believe that a remote expert can't do these complex tasks. However, on close introspection, we find that managing these complex job isn’t much different from the traditional jobs posted on freelance outsourcing platforms. Perhaps you have a task you wish to outsource but aren’t sure if it is suitable for outsourcing platforms or online freelance platforms. All you have to do is create a well-defined job description and activities which will address all your concerns and explain the fine details of the job to the potential hires. Even though the below list of unconventional jobs gets frequently posted on freelance platforms like Vulpith, people are still unfamiliar to the idea of outsourcing these jobs. Many consider the outsourcing of creative writing tasks akin to an abominable act. It isn’t unusual to see jobs about short-stories, novellas, novels, and even poems posted on an online freelance platform. Clients who resort to outsourcing such sensitive tasks to freelance writers are either very successful creative writers with too much on their plate or just not talented enough and wish to turn their ideas into words. Creative writing jobs are also not for every freelance writer merely because they require a different kind of expertise many freelance writers can’t deliver. The skill needed to craft articles, blog posts, and web content isn't just the same as that required to create a fictional story that is meant to entertain its readers. It is not uncommon for a content writer capable of producing a 3000 daily word-count to be unable to string a simple sentence that facilitates the progress of a fictional story. 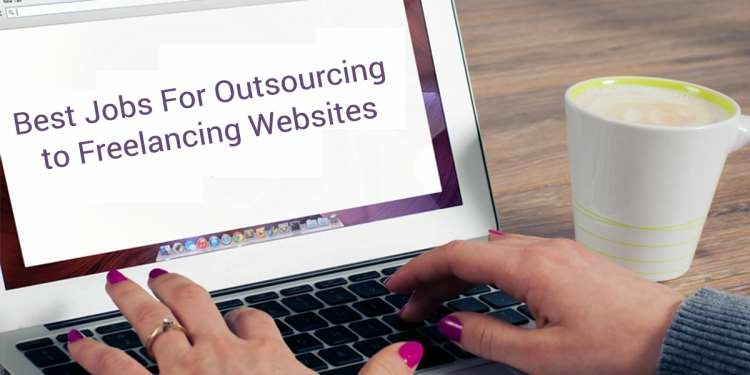 Despite the difficulties involved in outsourcing this task, it remains a job that regularly features on online writing job boards and other online freelancing websites. Needless to add, it has freelancers with creative writing juices lining up to accept it. What most clients do to navigate the challenges involved in outsourcing this creative job is to outline the story they wish to write while also divulging relevant information that will help the ghost-writer like the name of the characters, the setting of the story, and the background of each character. Assigning the task of building a WordPress site for a business or an idea is known territory. But outsourcing the management of the Wordpress site is an alien idea. WordPress has indeed brought about an innovative transformation that has improved the web design field impressively, and with nearly 50% of websites now using the popular CMS tool, skills attached to the website builder are consistently being sought after on online freelance platforms. From WordPress site creation to customization, SEO implementation and Plugin Installation, freelancers are adopting these crucial skills to tap into a market that only seems to be on a continuous rise. Another skill many seem to ignore but has also become quite important is the overall management of a WordPress site. Duties that are carried out by a freelancer with the requisite expertise include the uploading of posts and pages, the upload of images and videos, editing of the site’s properties, replying comments and feedbacks, and the maintenance of the site’s security status. If you have a WordPress site that is becoming overwhelming to maintain and manage, the best solution would be to assign the task to a freelance expert that possesses all the necessary skills. Keep in mind, however, that this will require sharing access to the site’s admin page, so you should carefully think through it before making that final decision. If you work in the education field and are required to compose questions that will be used to test the ability of your students, then one way to ensure that the process is fair and without bias is to assign the task to a freelancer. It isn’t uncommon for job posts on a variety of online freelancing sites to include requests for multiple test questions that are used to assess students of different academic levels. The questions can be in either standard MCQ (Multiple Choice Questions) format or the general theory format. The freelancer should perform this job with the highest level of trust and confidentiality. It is critical that all the instructions included in the job brief are clear and concise. If possible, a resource material can be recommended to the freelancer to increase the likelihood of their work meeting the client’s expectations. A task many website owners regularly perform is outreach to highly-rated blogs that often accept guest posts. This overlooked activity is a vital part of SEO. You should not neglect this activity if you want your website to rank highly on popular search engines like Google and Bing. Guest-Post outreach is; however, a time-consuming task and many site owners are too engaged with other equally important duties to divert time and resources for a regular outreach campaign. A freelancer with required expertise in the guest post outreach comes to the rescue. The individual must be proficient in using sourcing tools like Majestic and must also be able to properly craft a compelling outreach pitch that convinces the blogs to allow usage of their platforms. The sky is the limit as far as the potential of freelancing goes. Many organizations are slowly but surely warming up to the fact that freelancing is the future of work. Many subject experts choose to work in a strictly freelance work style. Organizations are changing their recruitment strategy to tap into the freelance industry.